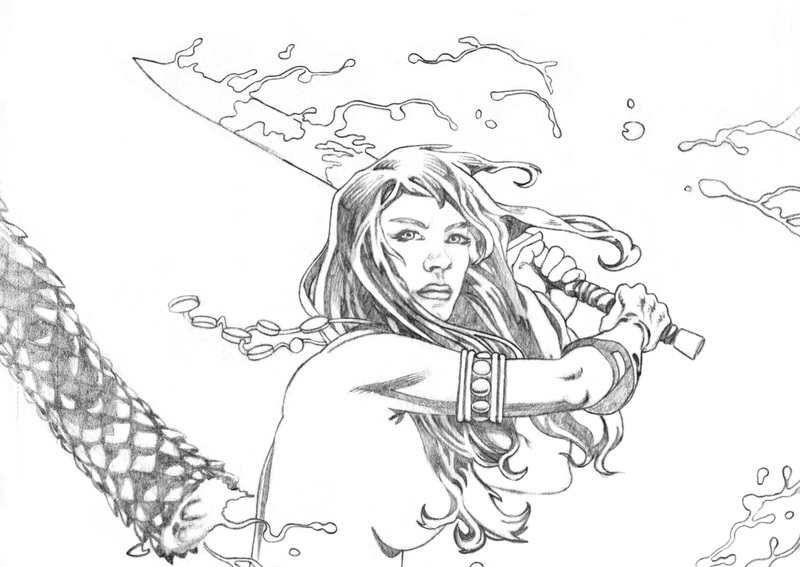 Red Sonja fighting snakes. Pencil on standard comic art board. Click on the link to see the full image.